Chosen your style and lovingly crafted your pattern ? Now on to making the garment. Here are some favourite books on sewing technique. – Many beginners sewing books have a lot on home dec. Square shapes, simple to sew and fit – easy cushions/ pillows and curtains/ drapes. But except for patchwork that doesn’t much interest me, so I don’t notice those books. – I like learning by being guided through a specific sequence of projects, carefully chosen to introduce new skills. I know many people don’t like that. You have to be willing to make things that aren’t your ideal choice ! – I love wardrobe pattern books. But there are many with patterns for dresses, which I don’t wear. So I haven’t got those books. – Books on tailoring – none of those either as I don’t wear structured clothes. – There also are many more advanced books on embellishing clothes, sorry I’m not expert on them. – And I’m no help when it comes to the best guidance on specialist techniques like sewing lingerie, or advanced and couture technique. So this sewing booklist is like my other lists – very affected by personal preferences. There are many books which are much loved by other people and have good instructions, but which I don’t mention. As we all have different styles of sewing and learning, there’s no guarantee these will work well for you too ! I like project based books for learning, though I also really like videos demos for the practical aspects of sewing, to feel secure that I know what to do (see right hand menu). I can learn from good books, and like to keep them by me for a speedy easy-access reminder. There are several other books I like, but these are the ones I return to more often. Basic sewing machine processes, For reference, not project based. This is the 100th anniversary edition with patterns included for 18 inch dolls – hand sew a sequence of early 20c styles. 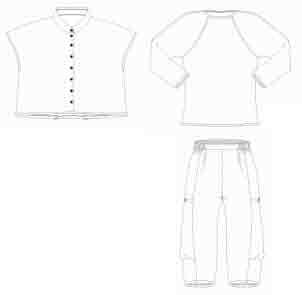 Simple basic wardrobe – full size traceable patterns included for tee, dartless blouse, 2 skirts and pants with elastic waist, with simple instructions for pattern alterations. 3 basic full-size tissue patterns included. Variations with ideas for fabric combinations and added trims. Instructions have hand drawings in the style of this illustration. A bit more advanced than the Kwik Sew book (includes zips, trims). The next book is full of embellishment ideas. There must be hundreds of books with little crafty projects, most of which don’t appeal. This town has good libraries and bookstores so I can check out many of them (sadly no full-scope fabric shop !). So I know only a very small number of these books are to my taste. This must be a very individual matter, so there’s no guarantee the ones I like will suit other people. For some reason I do return to Get the most from your sewing machine by Marion Elliot, inspires me to have fun with my sewing. Being inconsistent, I don’t actually use the projects in this book. But there are so many suggestions for other things to do with the techniques. An alternative to the Kwik Sew book. Project sequence of similar garments, though no patterns included (and these days there’s no simple wardrobe pattern for wovens). Simple jacket and vest but no basic blouse. A bit easier than the Kwik Sew book as it doesn’t include collars or pattern alterations. The advantage is this has photos of technique, which I prefer. A technique book but organised by type of garment, e.g. all the techniques you can choose between to make pants. No jacket linings or notch collars. More advanced than the Kwik Sew and Kay Whitt books, photos and line drawings. 12 basic patterns supplied for classic styles, with 19 simple pattern variations, excellent detailed technique photos. Could be used as a project sequence. Patterns have to be enlarged from squared diagrams, or downloaded. (P.S. There can probably never be one sewing book that’s ideal for everyone, as we all have different clothing and learning styles. The patterns in The Great British Sewing Bee book by Tessa Eveleigh are prettier, and it includes beginner projects and home dec. I also enjoy the style of Japanese sewing books, available from Simply Pretty. Very visual presentation of technique. 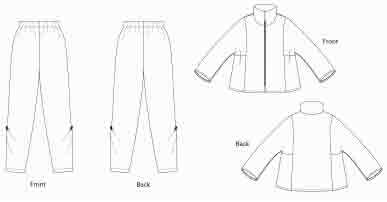 Full size traceable patterns included, though usually only small sizes (Extra Large has 38 in. hips !) I have several of these but none stands out as ‘the’ one. Several have been translated into English but none of my favourites. A specialist little group. 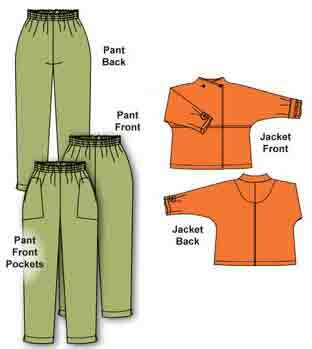 Apart from changing fabric or trim, changing pockets is the easiest way to make the same pattern again and make it look different. There are several out-of-print books on sewing them. High-end RTW boutique sewing. Mainly written instructions, so not for beginners. Practical details of needle sizes, stitches, threads, technique. for sewing many fabrics. Full of information and inspiration. Other media for advice on sewing ? There are a lot of suggestions for on-line videos and DVDs in my posts on learning, if you prefer demos to books (see Index page 8). And many links in the right-hand menu. I also collect 19C sewing books so yes, I’ve got many sewing books I like ! The Great British Sewing Bee TV series was a good inspiration for reviewing/ developing sewing skills. The first episode of GBSB started with an a-line skirt (McCall’s 3341). But an a-line style is not my best choice. I prefer the way the straight of grain falls in a gored skirt. In an a-line skirt, all the fullness falls at the side seams. In a six gore skirt it’s distributed around 6 seams, so the drape is less strongly localised. In these examples the flared skirt has a wider hem than the 6-gore one, but you can see the general idea – the flared skirt seam is much more on the bias. This difference doesn’t really show on a thigh-length skirt, but I like low calf length skirts, where the difference in drape and movement is quite pronounced. 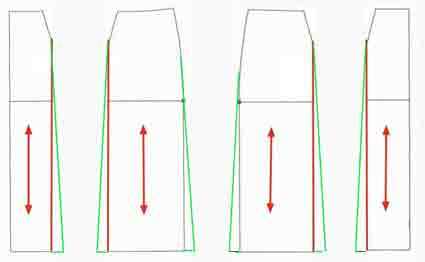 I looked at a commercial 6-gore skirt pattern, and realised it would be more trouble to adapt that to my own shape than to make a pattern from my own skirt block. So what about making a 6-gore skirt pattern ? 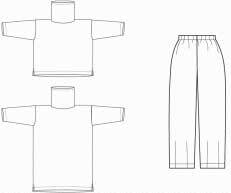 Look on the web and there are many tutorials for making a very basic pattern using 6 pieces with the same shape, and elastic waist. 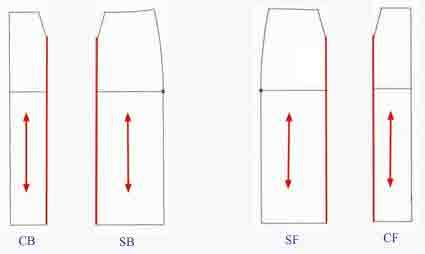 But, if you have a skirt base pattern, it’s not much more difficult to make a ‘proper’ 6-gore skirt pattern with princess seams – fitted over hips, with different pattern pieces for front, back and sides. This pattern has a zip in centre back seam, so it actually has 7 fabric pieces. Either a personal skirt block. 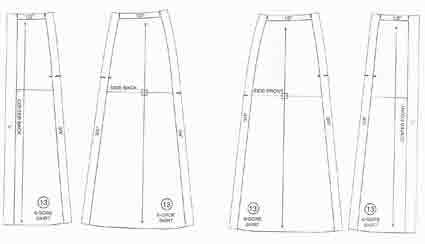 Or a commercial skirt pattern preferably with 1-dart front and back. Easier to start from a straight skirt pattern. With a flared skirt pattern, you don’t know if it has been altered in the hip area as part of the design. Pattern paper – anything, even newsprint. Easier if you use something you can trace through. I use swedish tracing paper, which is very convenient as you can sew it to make a first muslin. Drawing tool. Pattern making books insist you use a well sharpened 4H pencil. Well, I’m sure that’s important for professionals. But I use a wide tipped felt pen. My body alters by more than the width of that line every time I breathe. . . I know 1/8 in./ 5 mm is important in some fit issues, but those I check on a muslin. I don’t try to get them right on the first version of the pattern. Pattern makers drawing aids (optional). Not essential for something as easy as a skirt pattern, but they do make drawing smooth lines so much easier. Curve. I love my battered transparent French curve, marked with 5/8 in. round the curve and also an 1/8 in grid. But there are astonishing numbers of different types of dressmakers curves. Do a search for ‘french curve’ at Amazon to see if there’s one you like the look of. Long straight edge. The famous ‘yardstick’, but any long firm edge will do. A 12in./ 30 cm ruler isn’t long enough for many pattern making purposes. 1. 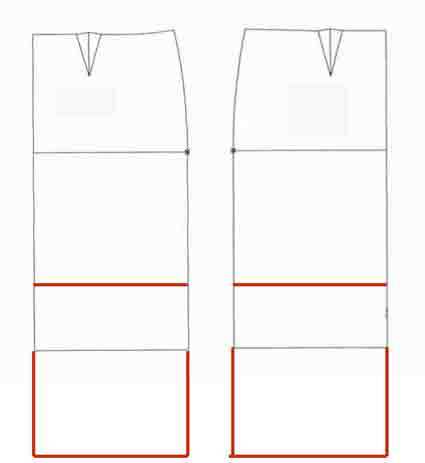 Extend or shorten the skirt pattern to the length you want (red lines). 2. Mark a line down from the main dart, the same distance from CF/ CB all the way down. Mark the grain line straight down all sections. Mark that centre front is placed on fold of fabric. Label the pieces as they’re all quite similar. If you started from a one-dart pattern, you now have a pattern with no darts. The dart shaping is incorporated in the shape of the added seams. 4. Trace these 4 shapes on pattern paper with space around them. Smooth the curve at the point where the new seam meets the bottom of the dart. – to both sides of the front side section. – to both sides of the back side section. – centre back – add to side seam (centre back too if you want more fullness). The amount you add is a design decision. Adding 1 inch/ 2.5 cm at the hem level of each seam makes the hem 12 in./ 30 cm. wider than the hips. Add 2 in./ 5 cm widens hem by 24 in./ 60 cm. Add 3 in./ 7.5 cm widens hem by 36 in./ 90 cm. No need to measure this with a ruler – just mark the amount you want on the edge of a piece of paper, and use that to get the flares consistent in size. 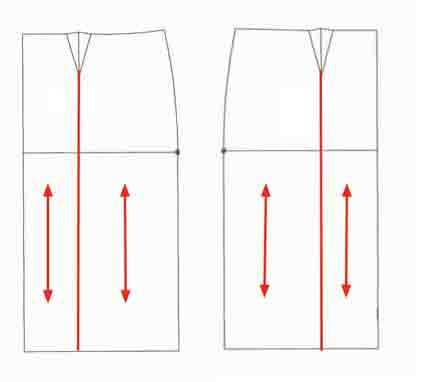 Use a long straight edge to draw the flare down from the hip curve to the hem level. Or you can curve the flare outwards from about knee level, to make a trumpet skirt. As a variant of the even flare – Lori Knowles in Practical Guide to Pattern Making page 214 suggests using different amounts of flare at different seams. 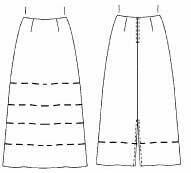 On a long skirt, she adds 3 in./ 7.5 cm to the side front seams, 4 in./ 10 cm to the side seams, and 5 in./12.5 cm to the side back seams. Which adds a total of 48 in./ 120 cm to the hem. A lovely idea for a dancing skirt which swirls more at the back than the front ! I did this on a smaller scale for a slimmer effect – added 1 in. to side front seams, 2 in. to side seams, and 3 in. to side back seams. This adds a total of 24 in./ 60 cm to the hem. With my hips, that makes a hem width of nearly 2 yards which, even at lower calf length, makes for easy walking without needing a slit. 5.b. See note about 2/3 down this post on curving a hem. 6. Add seam allowances on all the new seam lines, and hem allowance on the bottom edges (if you like to have them on your patterns). I don’t always have seam allowances on my patterns, so I make a note on the pattern about whether they’re there. Add reminder pattern markings, to put centre front on a fold of fabric. And a mark to show the bottom of the zip on the centre back seam. If your body shape is like mine, large high hips make it essential to have more darts in a fitted skirt. Note these templates don’t include seam allowances – much easier for pattern altering, and for tracing round. But don’t worry if you’re starting from a pattern with seam allowances. The method for simple skirts is the same. 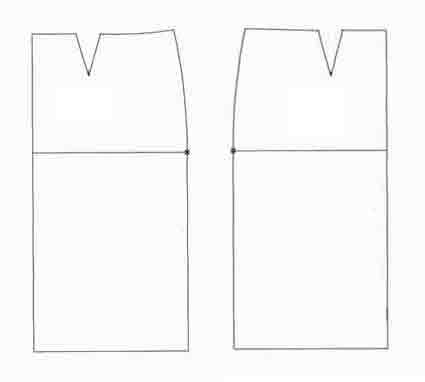 So when I make a 6-gored skirt pattern starting from these templates, I still have 2 darts in the side back pattern piece. I could of course divide the skirt back pattern into 4 parts, not 2, and have fun making all sorts of different flare shapes at the side back ! 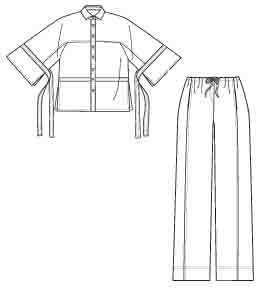 This hip template can be used as the starting point for both skirts and pants. Several pattern making books use this for the upper part of a pants pattern, rather than drafting the whole thing from scratch. 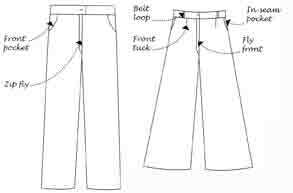 Alter all the seams by the same amount, so you don’t alter the ‘balance’ of the pants, how they hang from the waist. Plus seam allowances added all around. Or mark the size directly on the fabric with chalk, instead of making a pattern. It’s a good idea to label all the fabric pieces after you cut them out before taking the pattern off, as they’re all quite similar. Assembly instructions for sewing your own pattern ? 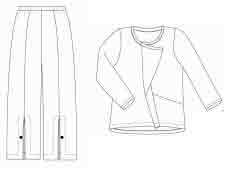 For a gored skirt, slightly adapt the instructions for a pencil or a-line skirt. Here are links to some free sewalongs. you won’t have much difficulty making a skirt without instructions. More of my favourite books. 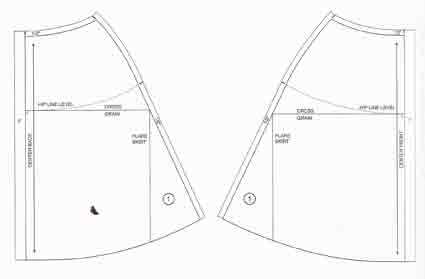 I found I had so much to say on pattern making, it’s become two posts.This is the second, on pattern drafting and fit. See the first section of my post on Favourite books – pattern altering, which explains the distinction I make between pattern drafting and pattern altering. For general comments on my book lists, see my first book post, on favourite books about Style and wardrobe planning. So here are some books on starting pattern making with just a blank piece of paper, pencil, ruler, list of measurements, and no simplifying tools or aids. Also here are books on fit. Even when you draft a personal block, you usually have to adjust the fit, unless you’re lucky enough to be an ideal match with that particular approach to pattern drafting. Before I started trying this myself, I was naive enough to assume all pattern drafting methods are the same, and that they all really do make a perfectly fitting block without any further effort. Sadly, not so. These are personal favourites, I make no claim that they’re best for everyone ! Easy books on both pattern drafting and pattern altering. René Bergh Make your own patterns. I often look at this book first as she makes pattern making look easy. Sadly her simple methods don’t always give good results (the finished clothes often don’t fit well). So after I’ve built my confidence by looking at her instructions, I check other books for refinements. She includes quarter-scale patterns, with instructions for how to scale them up, to use if you don’t want to do the drafting. My second-easiest book is Gillian Holman Pattern Cutting made easy. 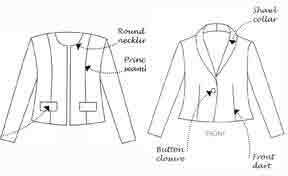 Simpler pattern alterations than in Adele Margolis Make your own dress patterns. (Margolis doesn’t include drafting personal blocks so is listed in my post on pattern altering.) Gillian Holman gives instructions for drafting but recommends starting from a commercial fitting shell pattern. I haven’t seen some of the big ‘bibles’ of pattern making. None of those get full enthusiasm at Amazon from beginners. Here’s the index to the 3rd edition of Connie Crawford’s book, to give an idea what these big books contain. Project-based, but I find this is my ‘go-to’ pattern making book. I nearly always find what I’m looking for in the index, then find the instructions are what I want. Why is this so rare ! There’s a version for men too. I love the beautiful presentation of this. Interesting chapter on uses of computers in the clothing industry. Note metric. Whatever your source of base patterns you use as your starting point for making your own styles, for a quality final pattern you need to get your base pattern to fit well. Then anything you make from it will be well on the way to fitting well too. So to get a good pattern you also need to know how to fit. This is true even if you use one of the methods based on personal measurements. After all my struggles to get good basic blocks from pattern drafting or easier aids, all without success, this is something I do go on about rather! (If you don’t believe I’m that different from average without looking odd, see my post on Getting to know my sizes.) I don’t know of any pattern drafting method or simplified aid which includes all the measurements needed to get a good result for all possible body shapes, to cover all 88 fitting issues included in Liechty et al (see below). Any method which did try to include everything would be horrendously complicated. 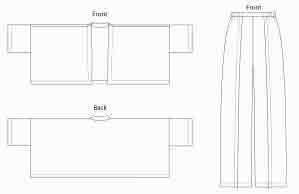 So you may need to make several muslins to perfect the fit of your carefully drafted personal basic blocks. It’s also a good idea to make a test muslin of your final pattern. To check that reality matches your vision before cutting good fabric. An essential step for professional designers and custom dressmakers. Many photos on how to ‘read the wrinkles’ in a muslin (bodice, sleeve, skirt, not pants). This is my preferred fitting method, but many people don’t like it. Many photos of and good advice for people who haven’t got ideal bodies. Detailed instructions for making a personal croquis from photos. The big ‘bible’ with 88 fitting issues. Three ‘alter the pattern before you cut the fabric’ methods. The only fit book I’ve seen which covers all my fit issues. It was a good ‘aha’ moment when I tracked down my final fitting problem here. I knew I have a deep lower body, which causes some difficulties with pants fit. I didn’t know I have a deep upper body too, which affects armhole fit. 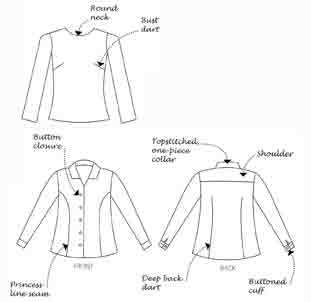 Pattern altering or pattern drafting. Which approach suits you best ? These are my favourite books about pattern making and fit. Final post in this group of posts on books will be about sewing. I hope you find something useful and enjoyable ! Elastic waist pants make for good easy and speedy patterns. My previous post was on pyjama pants and plain elastic waist pants. What about designer versions of elastic waist pants with more interesting style elements ? These can bring elastic waist styles up from loungewear to wearable on the best of occasions. 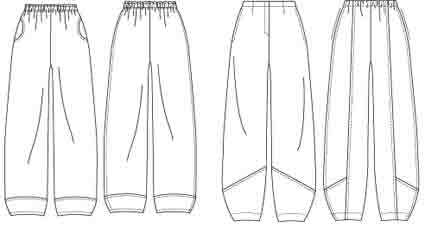 I have’t included elastic waist pant patterns for knits or stretch wovens, or with very slim legs. There are many from styleARC. 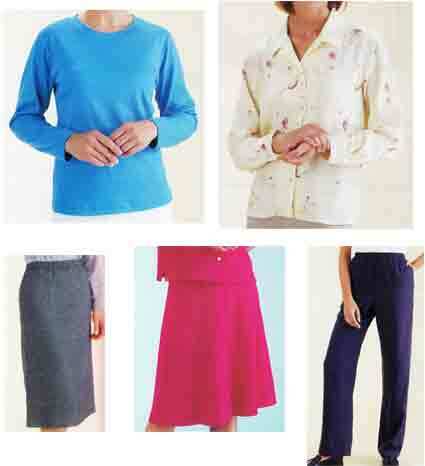 Or sweat/ yoga pants/ leggings, again multiple patterns from companies like Jalie and McCall’s. 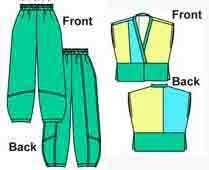 There are also several patterns which combine an elastic-waist with a zip fly front, but I haven’t included them as this takes us into another realm of sewing technique. There are even styles with a fake fly, that look as if they have a fly opening but don’t actually open. Which I confess I’ve always found a peculiar idea. With pants, you need extra ease for sitting down (I’m especially aware of this as my hips spread 4 inches/ 10 cm when I sit down – this isn’t true for everyone !) But you don’t need that extra ease at the waist for pulling pants on. Loes Hinse’s speciality is to remove that extra bulk by adding waist darts. 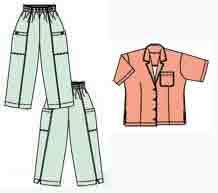 These are patterns with pockets as a visible style element. 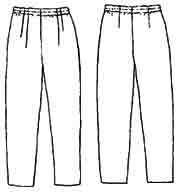 There are many elastic-waist patterns with near invisible side-seam pockets. Cutting Line One-seam pants have straight and tapered leg options. Louise Cutting is known for the quality of her instructions. But I don’t think this pattern is good for early beginners, as there’s a focus on altering the pattern to fit, and the basic instructions are mixed in with instructions for extra style details. 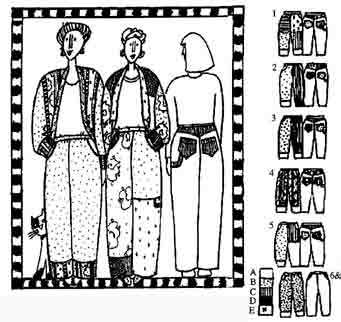 Her One-Seam Pants pattern is so well known it has its own discussion thread at Stitchers Guild. Jalie pull on pants have similar pockets. Dana Marie has a couple of patterns with vertical welt pockets, which definitely requires an upgrade of sewing skills. Vertical seam detail is popular, as it has a slimming effect. and also makes fitting easier. Dana Marie Asymmetry styles have angled seams. Two ways the extra seams can be enhanced. This could be a good place for adding seam embellishment, see Craftsy class. Or use the seaming to add fabric interest. Here are a couple of patterns specifically for this. Design and Planning Concepts Patchwerky pants. Not clear from the photo, but one style has patches down the side, one style is made entirely from 5 in. squares. (use ‘sewing patterns’ link at bottom of page). Sewing Workshop Hudson pants have hem darts. 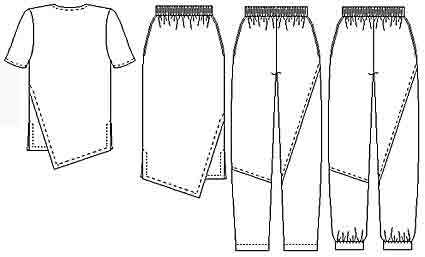 Louise Cutting’s One-seam pants, see earlier, can have hem darts, or a hem tab. 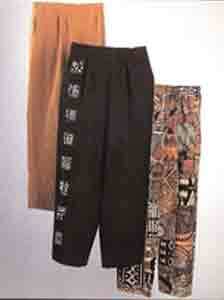 And Dana Marie Asymmetry pants, see earlier, have a hem cuff option. Easy alterations to any pattern without other hem style elements. Sewing Workshop Quincy pants have side seam pleats. Marcy Tilton’s Vogue 8499 pants, see earlier, have pleats at knee level in the front pattern piece. Sewing Workshop Urban pants have vertical seams leading to front hem vent with button loop. Personally, with my large hips, I don’t wear pant styles with added design interest as that leads the eye downwards and adds visual weight to my lower body. But many people love them, particularly though not exclusively people who are upper body dominant, or with a straight silhouette. Lots of options here. This is a speciality of independent designers, and there are so many independent pattern designers these days, I’m sure I haven’t found all the possibilities !